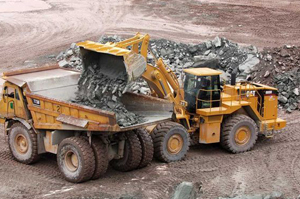 E. Tetz and Sons, Inc. and Tetz Asphalt, LLC, is a family owned and operated construction materials supplier for the Hudson Valley and surrounding areas. We have been servicing satisfied customers for over 60 years. Our vision is to provide our customers with superior materials and service. ​​We strive to be the best at what we do. 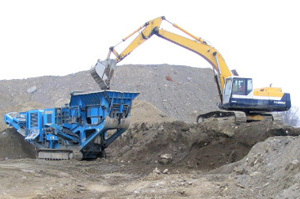 Whether it is crushing and producing the materials or loading and delivering it to the customer, we are constantly working on new ways to make the end product better. Whether you are a homeowner with questions or concerns about your residential property, or the large commercial contractor in need of documentation to get the job done – We are experienced in all levels. ​Just ask any reputable local contractor – big or small, our reputation speaks for itself. 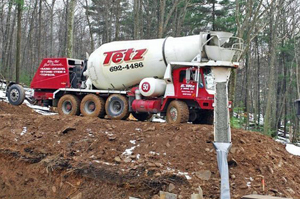 With a fleet of 25 front discharge trucks, a state approved computer controlled batch plant, courteous and knowledgeable drivers and dispatchers; E. Tetz & Sons, Inc. has become a proven leader in delivering concrete in the Hudson Valley. We have numerous gravel banks in Sullivan and Orange Counties. Including, but not limited to – Mongaup Valley, Bloomingburg, Slate Hill and Chester. All these locations are open to our customers to pick up their materials. If you need your material delivered, we have one of the largest tri-axle fleets in the local area. At E. Tetz & Sons, we are proud to offer expert concrete recycling services. 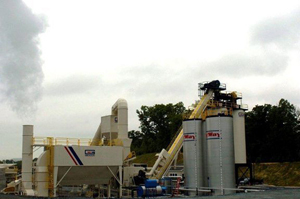 Concrete recycling protects natural resources and eliminates the need for disposal. We use the latest machinery and equipment in conjunction with best practices, to recycle concrete for new concrete or other applications.